Native Language Translators a Boon to Today’s Business World! Native Language Translator is a professional who has the mastered the linguistic and communicative aspects of the dominant language. The professional team at ShanSingapore comes with decades of experience with consistency, continuity, and precision. They are aware of the correct usage of grammar with accurate spelling and phrasing. This helps in connecting text that flows in translation easily.They are fully aware of the cultural sensitivities of the target language and can connect the cultural elements of the source language and complement their own language and culture. Best professional foreign language translator is not only native speakers who know to read, write and speak in their native language, but they also have extensive domain knowledge and experience in various fields of industry. This ensures an error-free, consistent output. This helps in the usage of appropriate terms through the document and make it contextually accurate. Native language translation services become of utmost importance for translating product descriptions and guides, glossaries, financial records, and other important documents used in technical, legal and economic sectors. 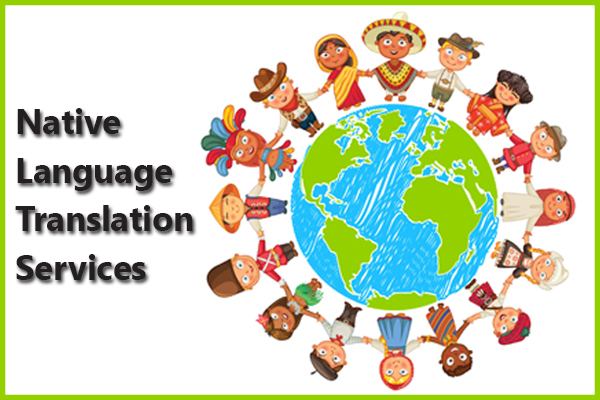 Techies can use the translation for new applications, software, and guides that need to be localised for ease of operation.Other documents like the fund, insurance plan, chemical makeup, individual documents, education field can also utilise the services of native language translations.